The first chapter of The City That Never Sleeps is The Heist. As you through play the base game, you’ll realize that Felicia Hardy, aka Black Cat, is back in town and she’s leaving clues around town to toy with Peter Parker. In The Heist, she finally reveals herself. Featuring new missions and challenges, as well as a brand new faction of enemies and three additional suits to unlock, you won’t want to miss it. New enemies, new suits, and, hopefully, plenty of shameless flirting between Spidey and Black Cat. Sounds like a fairly juicy update! It will be interesting to see where The City That Never Sleeps ends up going in its second and third chapters – “Turf Wars” sounds pretty self-explanatory, and “Silver Lining” implies Silver Sable is probably going to be getting mixed up in things. The City That Never Sleeps will set you back $25, or you can buy each chapter individually for $10. The City That Never Sleeps is also included in the Spider-Man Digital Deluxe Edition, which costs $80. What do you think? Wil you be picking up the DLC? 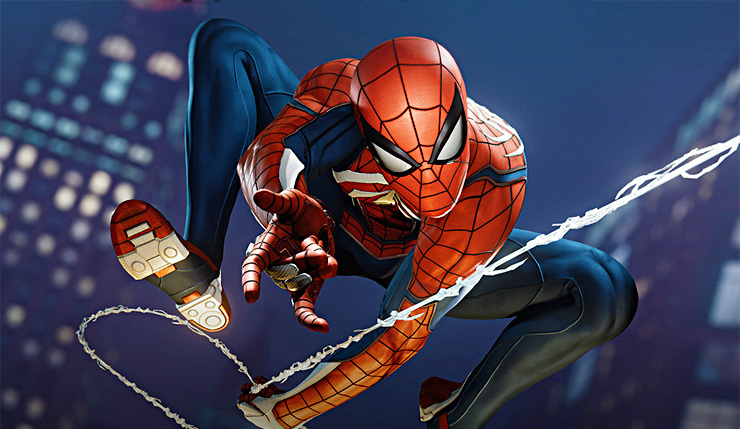 Spider-Man swings onto shelves on September 7.